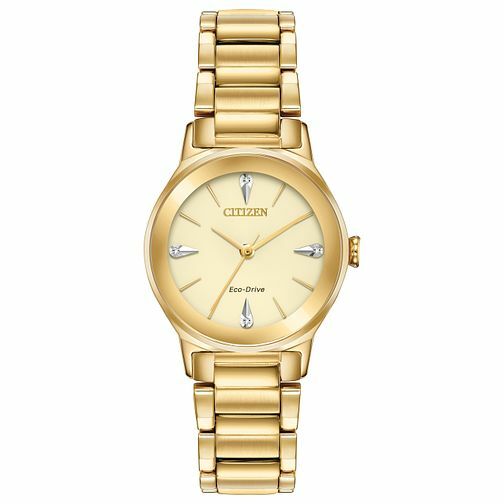 A smart Citizen ladies' watch, presenting a 28mm gold plated case and sleek bracelet. The minimalistic champagne dial features three linear hands powered by award winning eco drive movement, and hour markers accented with four dazzling diamonds. A sophisticated style and timepiece for the modern lady.